Sheer (.005 gauge) seamless vinyl disposable. Glove fits either hand. Pre-powdered for easier donning. Sizes S, M, L, & XL. 10x100 per carton. Sheer (.005 gauge) seamless vinyl disposable. Glove fits either hand. Powder free. Sizes S, M, L, & XL. 10x100 per carton. 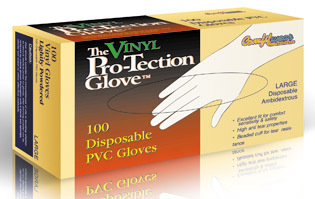 Seamless vinyl glove heavy weight (.065) gauge for extra durability. Pre-powdered. Sizes S, M, L & XL. 4x100 per carton. 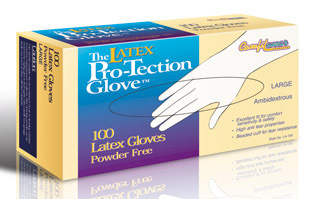 Ambidextrous latex glove. Resists acids, alkalies and ketones. Pre-powdered. Sizes S,M,L & XL 10x100 per carton. 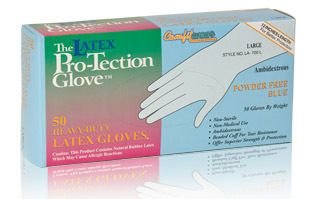 High Risk blue ambidextrous latex glove. Powder free. Perfect for projects where greater durability is needed. 8 mil. Sizes S, M, L, XL 10x50 per carton. Synthetic Stretch gloves, ambidextrous. Pre-powdered. Sizes S, M, L, XL 10x100 per carton. Synthetic Stretch gloves, ambidextrous. Powder free. Sizes S, M, L, XL 10x100 per carton. 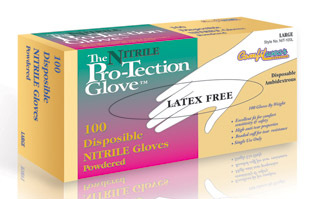 5 mil, low-powder, low moldus, blue-colored, 91⁄2"-long, ambidextrous, disposable, 100%-nitrile glove. Sizes S, M, L, XL 10x100 per carton. 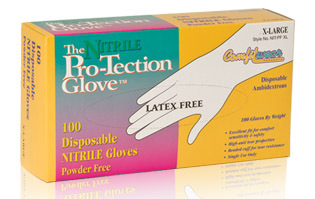 5 mil blue colored ambidextrous, 100% Nitrile glove. 9 1/2” long. 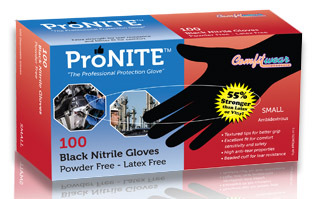 Black Nitrile Glove. Same as NIT-PF . FOOD PROCESSING & HOUSEHOLD CHORES. Made from premium natural rubber latex, with stringent quality assurance procedures. 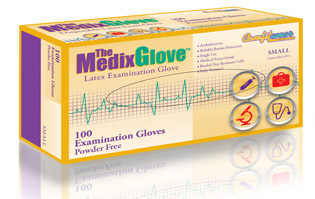 Approved examination gloves. 100 single use gloves. Ambidextrous, Reliable barrier protection, Medical/exam grade, beaded tear resistant cuffs, fully textured. Meets the FDA regulations title CFR section 880.6250. 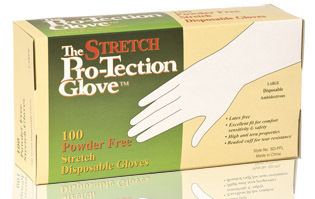 Available in Powder Free and Lightly Powdered. Ideal for: Doctors, Dentists, Nurses, Laboratories, Hospitals, Technicians, Biochemists etc. to help prevent contamination between caregivers and patients. 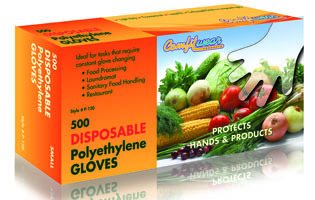 Polyethylene ambidextrous disposable glove. 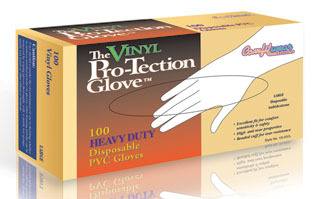 Provides low cost hand and product protection. 20X500 and 10X1000 per carton.